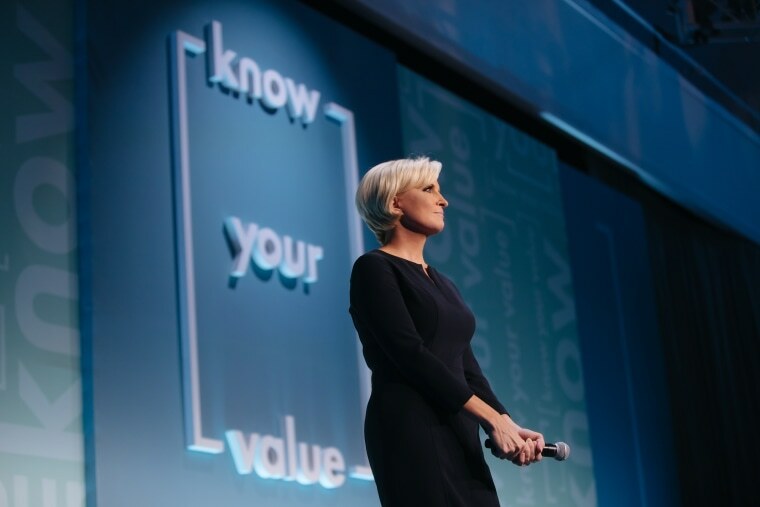 At the Know Your Value event on Dec. 1 in San Francisco, the three women will have the chance to pitch their value to Mika Brzezinski live on stage. Women in California had the opportunity to apply for Mika Brzezinski’s “Grow Your Value” competition: a chance to convince the “Morning Joe” co-host why they deserved a $25,000 raise … and a chance to actually get it. The Know Your Value team combed through dozens of video applications and selected three inspiring finalists. The women were recently flown to New York City to receive professional coaching, styling advice, personal branding tips and other career guidance from experts, including Brzezinski, leadership coach Janine Driver, communications expert Chris Ulrich and Gravitas founder and CEO, Lisa Sun. And at the 2018 Know Your Value national event on Dec. 1 in San Francisco, the three finalists will have the chance to win $25,000 by using the tools they learned and articulating their value to Brzezinski and a panel of judges live on stage. Nixon, who grew up in small-town North Carolina, spent eight years after college serving as an Army helicopter pilot. Now a member of the Army Reserves, she moved to California to obtain an MBA at the University of California-Berkeley – all while also teaching ROTC classes at the University of San Francisco. Brown moved from Anaheim, Calif., to northern California to be near her daughter, Jordyn, as she begins college. That includes domestic violence, alcoholism and a layoff during the 2008 recession. She now works in social services, assisting in intake for programs like food stamps. She said supporting Jordyn has been her primary motivator. But now, with Jordyn in college, Brown is ready to focus on herself. An avid “Morning Joe” viewer, Brown heard about the Grow Your Value contest on the show and decided immediately to apply. Oceguera, a talent development coordinator at Stanford University, had no plans to apply to the Grow Your Value contest. But her colleague and mentor insisted, even after Oceguera declined, saying there was no way she would be considered. Oceguera is studying organization and leadership through a master’s degree program at the University of San Francisco, and she’s “passionate about developing people in both my professional and personal life.” She volunteers in her community and works to mentor children. If Oceguera wins the grand prize, she would put the $25,000 toward education costs – but said she will feel like a winner no matter what happens.